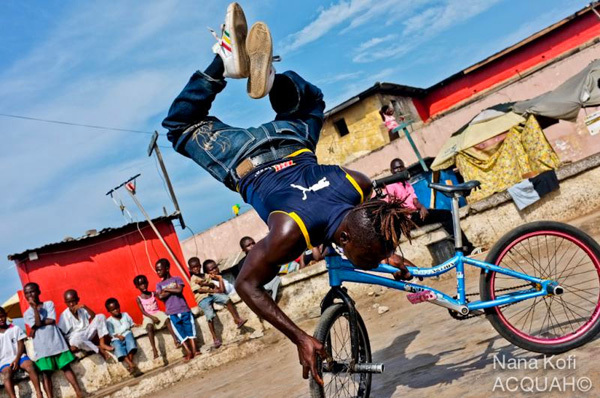 Between August 20 - 21st, The CHALE WOTE Street Art Festival caps off a week's worth of events in James Town. There’s so much to see and do at #CHALEWOTE2016. From live music, extreme sports, street theater, poetry and spoken word, visual art, installations, dance, film screenings, processions and so much more. Be sure to arrive early. On August 20-21st, the visual art murals and installations will begin shutting down at 5pm, before the sun sets. From 6pm going, we flip the vibe to live music, performances and screenings until 10pm, running at Mantse Agbonaa, Otublohum Square, Brazil House and the Old Kings Way Building. Easily navigate the festival using Google Maps below.